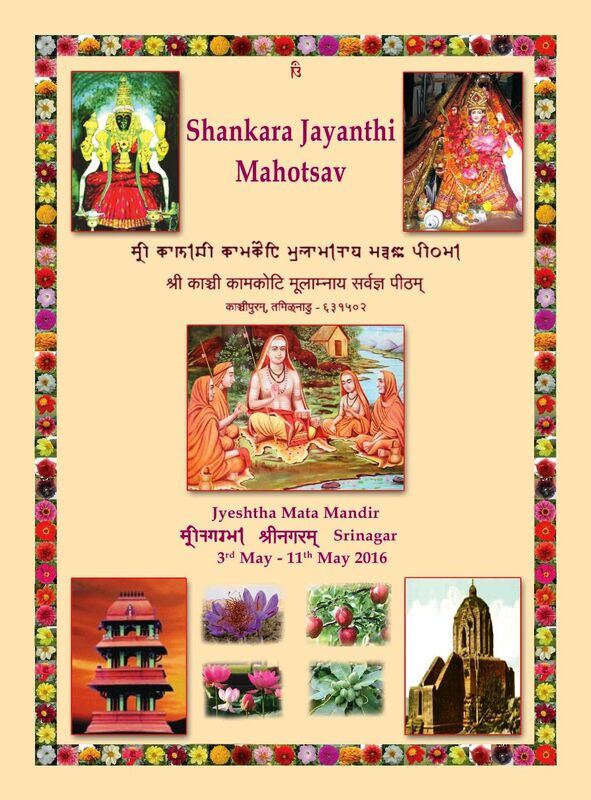 With the Benign Blessings of Their Holinesses Pujyasri Shankaracharya Swamijis of Shri Kanchi Kamakoti Peetham, Shankara Jayanthi Mahotsav will be celebrated at Srinagar, Kashmir, and Veda Sammelan will be conducted at Shankaracharya Hill, Srinagar, J&K from 3rd to 11th May this year. 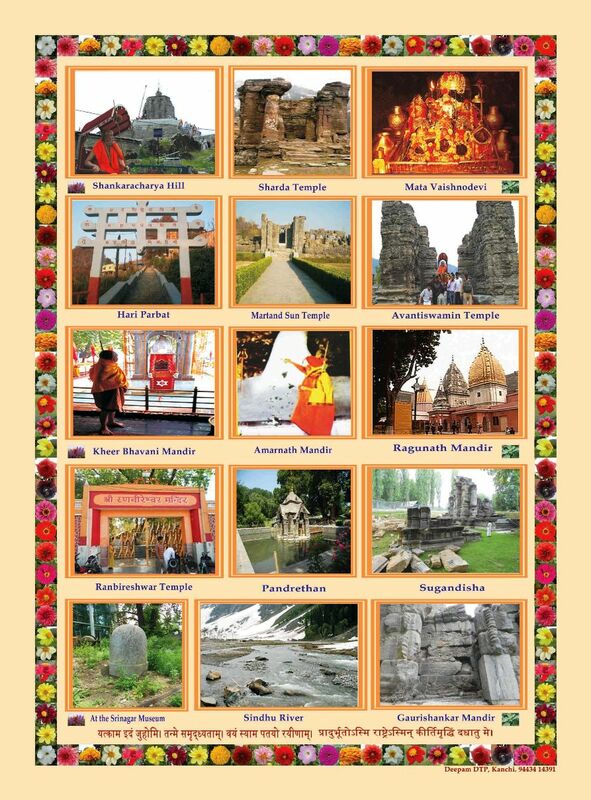 Rigveda Samhita Havan, Chatur Veda Parayanam, Ramayana Navaham, Agnihotram and Visesha Havans will be held. 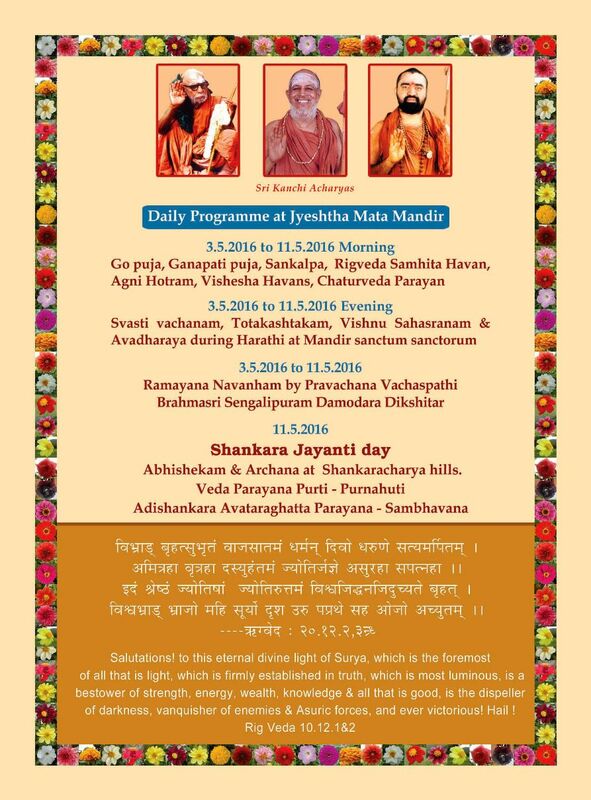 On Sri Shankara Jayanti Day - Vaishakha Shukla Panchami - 11 May 2016, Abhishekam, Arachana and Parayanam will be done at Shankaracharya Hill. Adi Shankara Avatara Ghatta Parayanam will be performed. Veda Parayana Purti and Poornahuti will take place that day. 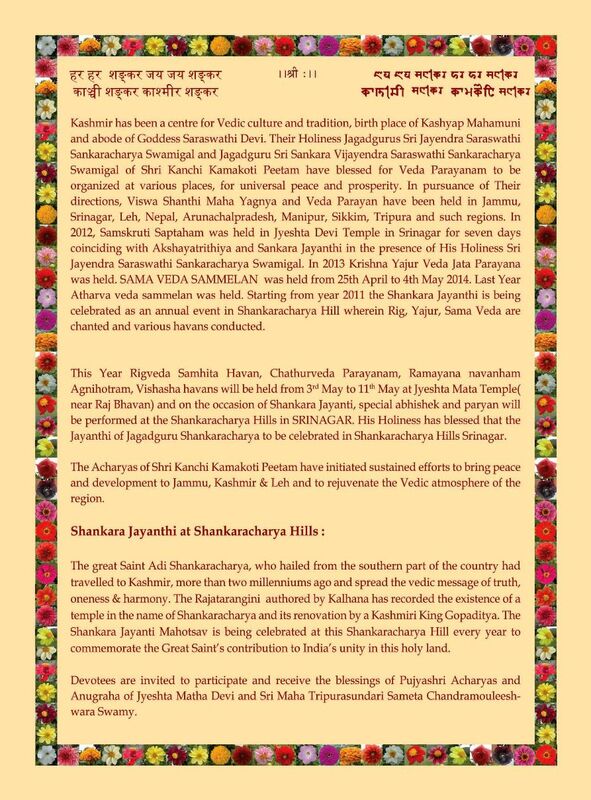 It is important to observe that with the benign blessings of Pujyashri Acharyas, Shankara Jayanthi is being celebrated annually at Shankaracharya Hill in Kashmir since 2011, and each year's programme is uniquely designed with different Veda Shakhas and other stotras being chanted.